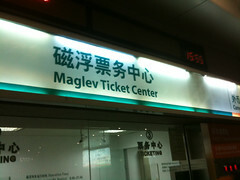 Last week for our last night in China, we rode the MagLev bullet train from the Pudong airport into downtown Shanghai. 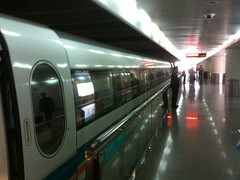 We could have taken a taxi ride for 45-60 minutes at a cost of about $50 US, but instead we paid the equivalant of about $7 US and took a 10 minute ride at 267 miles per hour on a train that never touched the track, thanks to the technology of applied electromagnetism. This 90 second video gives you a taste of the experience, when we topped out at maximum speed for this particular trip. 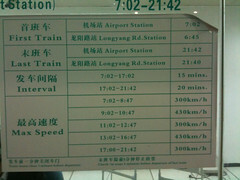 I’m not sure why, but the maximum speed of the train depends on the time you ride it. Still images really don’t do this experience justice. 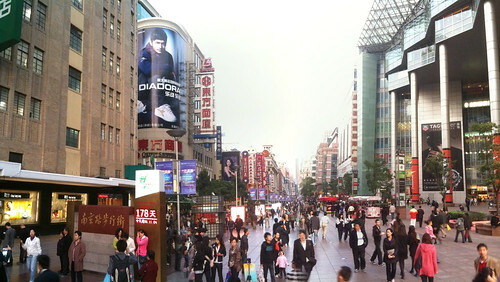 After getting off the Maglev, we got on the Shanghai subway and went to People’s Square. 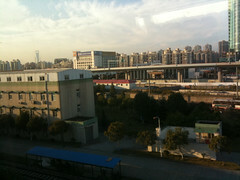 From there we took a taxi to the Chenghuang Miao area for shopping. Great video Wes … I remember last year the cab ride back to the airport seeming to take forever … wish this had been an option!